Here's the third card we will be making at my monthly Cards, Etc. class, on Monday, April 15th. (In order to be able to submit this card to various challenges, I had to post it separately.) No biggie, though. 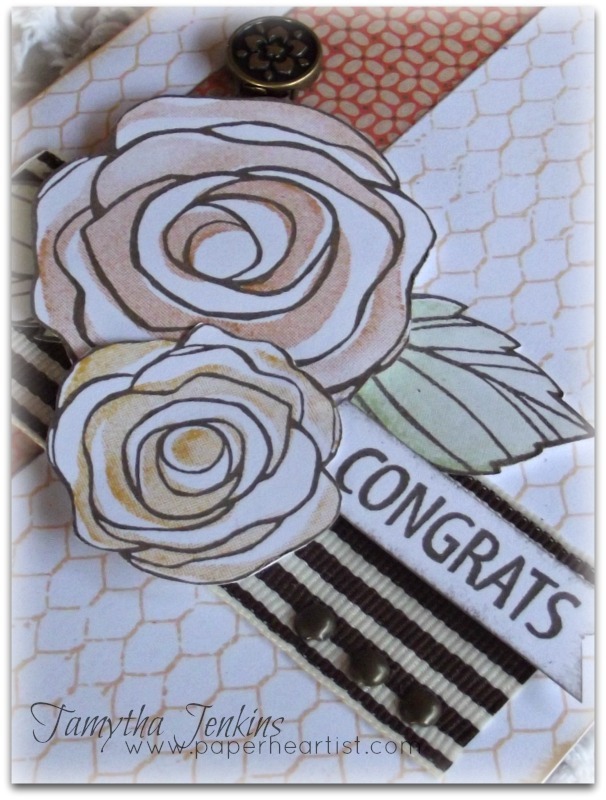 At any rate, the background on this card was inspired by this card created by Brenda Rose and a sketch from CAS(E) this Sketch (to which I forgot to submit my card). :( Don't ask me how I did that. Anyway, regarding Brenda's card, I loved how the chicken wire stamped image (done in creme brulee) looked on the white background, so I used it on my card. And again, if you would like to join us at the workshop, you can get more details regarding supplies and costs, here. Tamytha, your card is stunning. Never would have thought to use such colours.....but they work beautifully. Just lovely! Thank you so much for sharing this with us at Make it Monday this week! Don't forget to leave a comment for another entry and mention you saw them on MIM for a chance at our second prize! Good luck and I hope to see you back next week! Very pretty! I love the soft colours and use of ribbon. I found you at MIM. Very Pretty. The flowers look great. Thank You for joining in this week at Loves Rubber Stamps. How pretty! 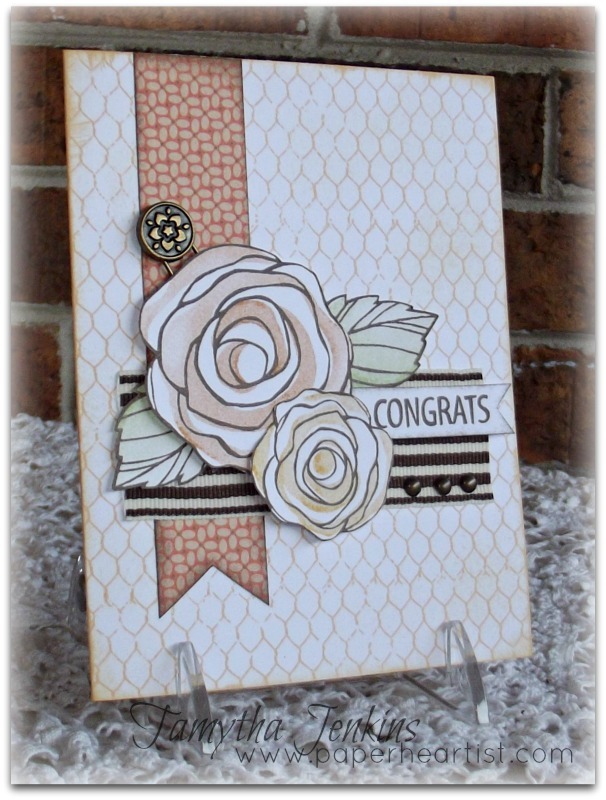 I love the chicken wire stamp! Thank you for playing with us at PTT! Beautiful card! love that set! Awesome project!! Thanks so much for sharing your wonderful talents with us at Papertake Weekly and hope you join us again soon! Another great card for our challenge! I love to see chicken wire behind pretty flowers, such a contrast.